Mary Jenkins was born on 24 March 1944 in Swansea, Wales, UK. After graduating from university, moved to Saskatchewan, Canada, to teach high-school English, on a two-year teaching contract in 1967. She married her Canadian husband, Robert Balogh, and had three children, Jacqueline, Christopher and Sian. When she's not writing, she enjoys reading, music and knitting. She also enjoys watching tennis and curling. Mary Balogh started writing in the evenings as a hobby. Her first book, a Regency love story, was published in 1985 as A Masked Deception under her married name. In 1988, she retired from teaching after 20 years to pursue her dream to write full-time. She has written more than seventy novels and almost thirty novellas since then, including the New York Times bestselling Slightly sextet and Simply quartet. 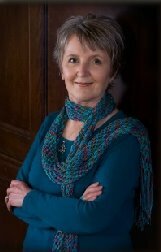 She has won numerous awards, including Bestselling Historical of the Year from the Borders Group, and her novel Simply Magic was a finalist in the Quill Awards.